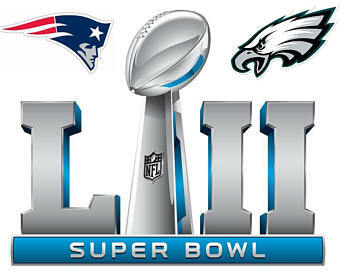 Super Bowl Sunday is the number one snacking day of the year. And since the “Basic 4” food groups of football are chips & dip; pizza; wings; and beer, it’s no wonder that fans’ Game Day calories often match—or exceed—those of the offensive linemen. With all the heavy fare, it’s easy to eat more than a day’s worth of calories before the fourth quarter even begins! There’s always a “blitz” on chips and dips, so what I do is serve calorie-poor, fiber-rich crunchy veggies like carrots, bell pepper, jicama and celery with lighter dips like black bean or hummus. I also serve healthier whole grain chips, like Lundberg Grounded Organic Red Rice & Quinoa Tortilla Chips. These new eco-conscious snack chips are free of common allergens and made with organic brown rice and US-grown quinoa, with varieties from spicy to savory to sweet. A one-ounce serving of Ancho Chile has 140 calories, 6 grams of fat, 2 grams protein and 1 gram fiber. 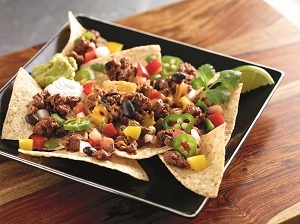 This recipe uses a vegetarian alternative to ground beef in place of ground beef for a perfectly-flavored nacho dish that has just a fraction of the saturated fat and half the calories of traditional nachos. And to make any nachos healthier, start with a whole grain chip. 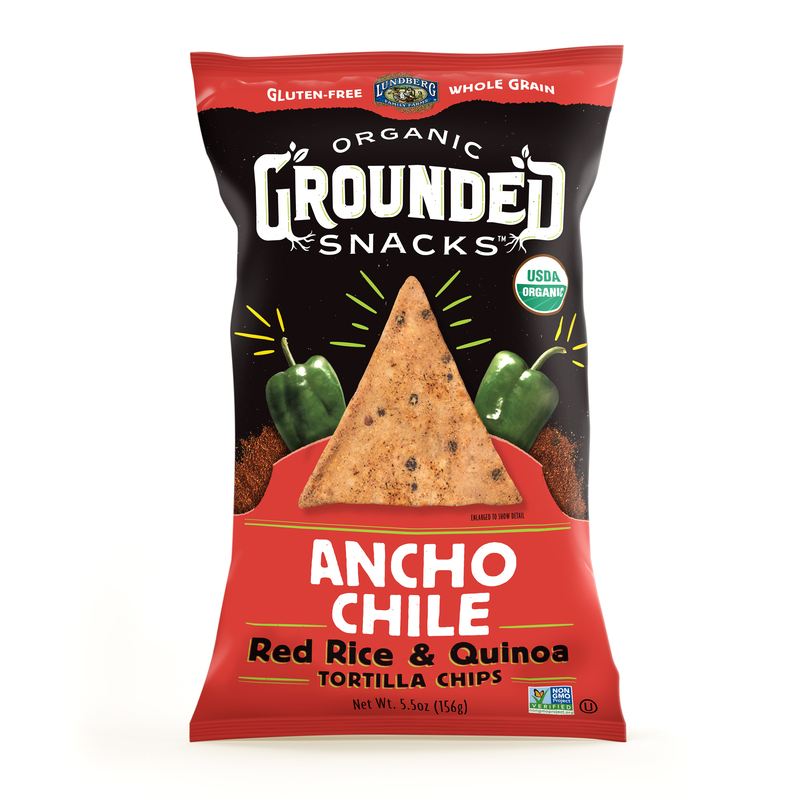 One of our favorites to enjoy are Lundberg Grounded Snacks Red Rice & Quinoa Tortilla Chips. experience. Arrange tortilla chips in a single layer on 11- or 12-inch ovenproof platter or pizza pan, overlapping them slightly.2. In large nonstick skillet combine the black bean crumbles and water. Cook, covered, over medium heat for 3 minutes. Stir. Continue cooking, covered, about 3 minutes more or until heated through. If needed, remove lid and continue cooking until most of the liquid evaporates.3. Spoon crumbles over chips. Sprinkle with cheese, bell pepper, jalapeño pepper and onion. Bake at 425° F for 2 to 4 minutes or until cheese is melted. Serve with sour cream and/or guacamole. 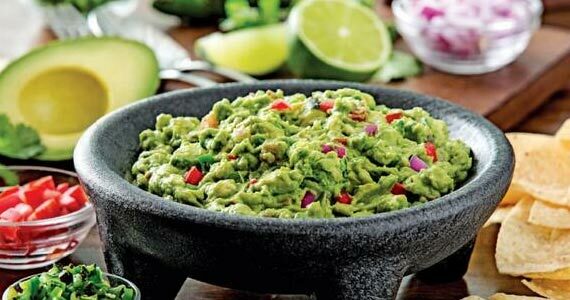 While guacamole is made from avocados, which are considered a “healthy” fat, it still packs in a lot of calories. A 1/4 cup of traditional guac has about 80 calories–and who eats just 1/4 cup of rich and creamy guac? Slash calories and up the fiber by adding red onion, tomato or salsa. If you don’t want to make your own, simply combine a store-bought salsa with prepared guacamole to great a leaner guaca-salsa. 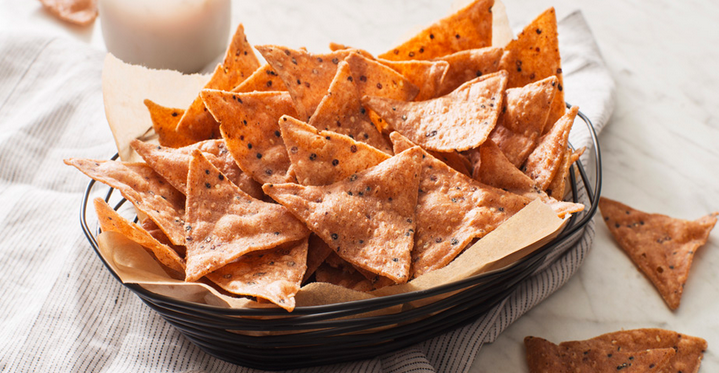 In medium bowl, combine all ingredients and serve immediately with whole grain tortilla chips like Lundberg Family Farms Grounded Snacks Red Rice & Quinoa Tortilla Chips. 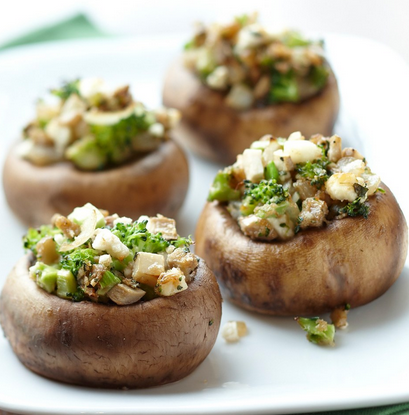 Make mushrooms even healthier by stuffing them with broccoli, feta cheese and Mediterranean spices. This post is sponsored by Lundberg Farms; all opinions expressed are from Appetite for Health registered dietitians. As i am a regular gym lady,this information is very useful for me. Thanks for sharing this valuable information.